Our latest edition of Rockstar Games Tips is designed to help you use the recently-released Capture Mode Creator to produce Capture Jobs that are well-balanced and fun to play, while also being nuanced enough to reward team play and strategy – much like the first four Capture Jobs to join the ranks of Rockstar Verified in last week’s update. First up are some basic steps on getting started for those who’ve yet to jump in to the Capture Mode Creator, followed by more in-depth tips for each of the four Capture Job types – Contend, GTA, Hold and Raid. You can also check out this handy PDF guide if you need more guidance. 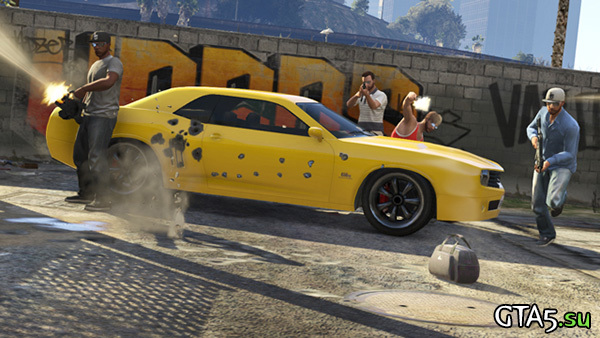 If you’re already familiar with GTA Online‘s Creator (if not then check out these articles on creating Races and Deathmatches), then many of the options for creating Capture Jobs will be familiar. Most likely your first steps will be to give your Job a Title, a Description and a Photo – all of which can be changed at any time. Once you’ve got all of the options in the Details Menu to your liking, it’s time to move on to the Placement Menu, where you’ll find all you need to lay down the elements that make your Capture Job unique. 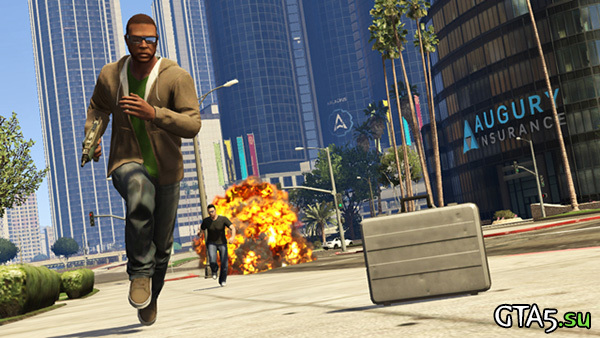 A Title, a Description and Photo which players will see when they check out your Job on Social Club or in GTA Online. Team Start Points. These are the spots where players will start the Job and you will need one for each player according to the Number of Players you set in the Capture Details Menu. One Team Capture Point for each team. You can think of Team Capture Points as that team’s ‘base’ where they will deliver and store Capture Objects. Capture Objects. These are the packages that teams need to deliver to their Capture Point in order to score (vehicles in GTA Capture Jobs). You will also need to complete a full test of your Capture Job, making at least one delivery as each team. If any of these elements is missing you will see a red exclamation mark next to it in the Creator Menu. The number of teams and the number of players on each team will impact the design of your Job. Generally, you’re going to want to scale up the area where your Capture Job takes place as the number of players increases (but that doesn’t mean you can’t experiment with doing quite the opposite). Your Description is very important – even more so than for Races and Deathmatches, where the objectives are clear from the outset. Be precise on what each team needs to do to win and be sure to include any tactical pointers you feel are useful. While you will know the Job inside-out, consider those players coming in fresh and offer clear and concise directions. Also bear in mind that the Job Host will be able to change certain settings, such as whether the winner is decided by Target Score or Time Limit. If you feel your Job is best played under certain conditions, then let people know. Zones can be used to clear a selected area of ambient peds, vehicles or both. Select Placement > Zones in the Creator Menu and then select the two points where you want your Zone to begin and end. Your selected Zone will appear as a box using these two points as opposite corners. In Capture Details > Team Details, you can set a vehicle for players to respawn into. Make sure your Team Respawn Areas can accommodate that vehicle. 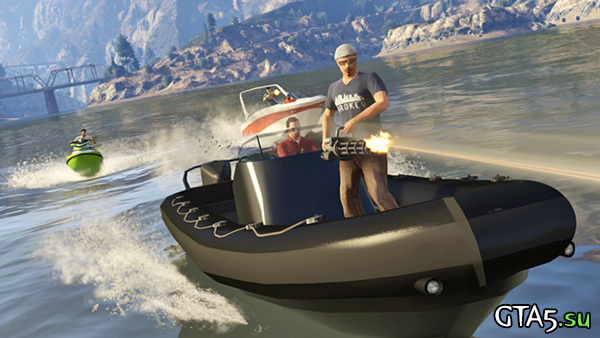 Speedboats aren’t terribly useful on rooftops. Also bear in mind that setting a team’s respawn vehicle to any kind of aircraft means they will spawn in flight, rather than on the ground. As when creating Races and Deathmatches, open up the Pause Menu Map to quickly jump to any part of the game world. The ability to place Actors is a new addition to the Creator. It allows you to place AI-controlled persons into your Capture Job, choosing from a wide range of appearance types, and with the ability to set parameters for their behavior and their levels of hostility/friendliness towards each team. Placing an Actor is simple – go to Placement > Actors, set the parameters you require and then drop them onto the map. Actors are separated into categories such as ‘Cops and Army’ and ‘Gang Members’, and each Actor type has three distinct looks. You can select any of these or simply set it to random to ensure some aesthetic variety. If your Capture Job has police or military Actors, bear in mind that shooting them will earn the player a three star Wanted Level. Actors will turn on each other if certain conditions are met. For example, if Actors set to be hostile to Team 1 cross paths with Actors set to friendly with Team 1, sparks may well fly. When setting the accuracy of Actors, take into account which weapon they are carrying. An accurate Actor carrying a Heavy Sniper is an absolute killing machine! Dropping Actors onto vehicles will automatically place that Actor inside that vehicle. The first Actor placed will enter the driver’s seat, the second will enter the passenger seat and so on. The Actor will drive according to their Patrol Range. If you want to remove all Actors from a given a vehicle, hover your cursor over the vehicle and press Triangle/Y. 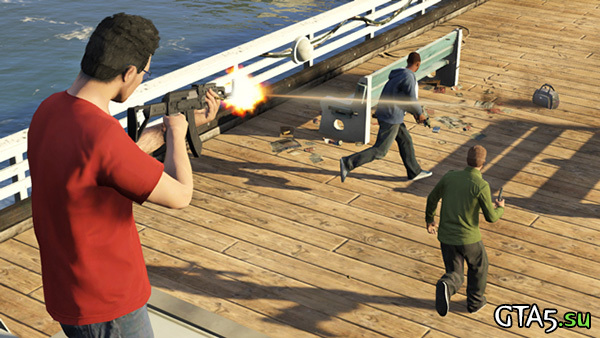 You can place Capture Objects on Actors, meaning that players will need to kill that Actor in order to retrieve it. You can also do this with Actors that are inside vehicles, so players will need to chase them down to intercept the goods. In Contend up to four teams fight over common Capture Objects normally located in no man’s land. Once the Object is captured (when one team successfully transports it to their Capture Point) it respawns in the original location. The key to winning in Contend is controlling the middle while also making sure your couriers have enough protection to successfully deliver the Capture Object. In creating a Contend Capture Job the key elements to consider are each Team’s Start Points, their Capture Points, their Respawn areas and the position(s) of the Capture Object(s). As long as these are all balanced, so that each team has a fair shot of grabbing and delivering the Capture Object(s), then you have the foundation of a solid Job. Not all teams have to be going for the same Capture Objects. There are three types available – Security Case, Money Bag and Duffel Bag – and you can set it so that only certain teams can score with each type. This can lead to an additional layer of strategy, so don’t be afraid to experiment with it. You can set different Target Scores for each team in the Capture Details Menu, opening up the opportunity for asymmetrical gameplay where one team has a tougher objective than others, but doesn’t have to achieve it so many times for a win. Pacifist? Capture Jobs don’t have to be won by conflict. It’s possible to create a Job where teams are located in different parts of the map, working to grab and deliver their Capture Objects quicker than the other team(s). 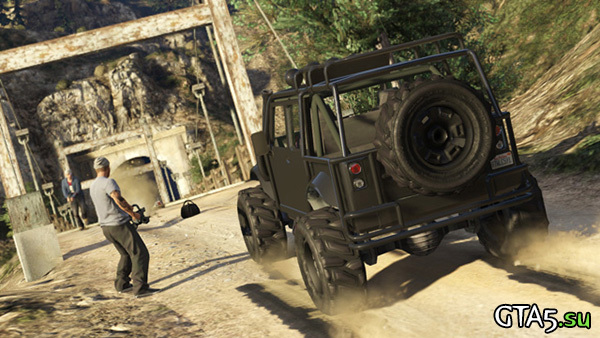 In GTA Capture Jobs, there are Capture Vehicles located around the map that each team must try to steal and return safely to their Capture Points. Your choice of Capture Vehicles will go some way to defining your Job’s identity and how it plays out, so think it through when conceiving your grand vision. If your Capture Vehicle is a Titan, for example, then you’re going to want to make sure each team’s base is far enough away to make for a tense flight. You’re probably going to want to make sure each team has access to aircraft so that the first person in the cockpit doesn’t have it too easy up there. You’ll also want to think about where the Capture Vehicles are stored. Leaving them out in the open will likely result in a bloodbath, so use Actors, Props and the game world to create different strategic approaches to intercepting them. If you’re using large Capture Vehicles in your Job, then make sure your Capture Points are large enough to contain several of them. This makes sure they don’t get clogged up later on. You’ll also want to make sure the area itself is roomy enough to hold a few of your chosen vehicle. Each team can have its own Capture Vehicle that it needs to deliver. 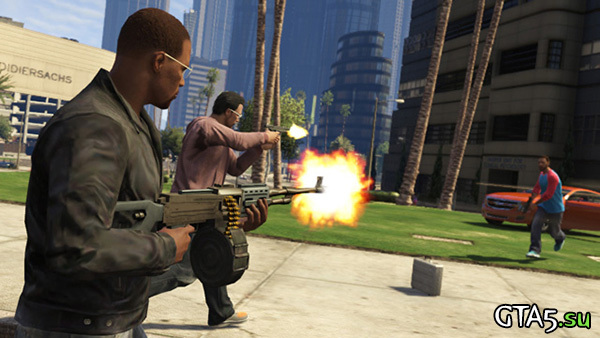 Combine this with the ability to set different Target Scores for each team and you can create interesting scenarios – one team that needs to deliver five Sanchez vs a team that needs to deliver a single Faggio for the win, for example. Actors can be used to protect the Capture Vehicles or either team’s Capture Points and you can add to the immersion of your Job by selecting Actors that are in keeping with your theme. For example, if your Job is to steal a Titan from an airfield then it may feel a little surreal if players find it is guarded by Clowns. Whether that’s a good thing or a bad thing is entirely up to you. 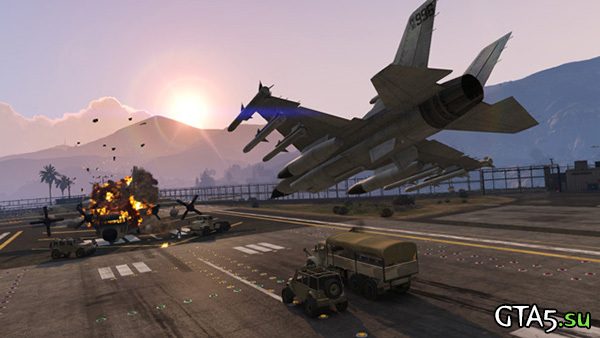 In Hold Capture Jobs, teams try to take Capture Objects from both around the map and from enemy bases, delivering them back to their own base to score. Once a Capture Object is delivered to your Capture Point, it is not ‘banked’; it can still be stolen by a member of an opposing team and taken back to their Capture Point. When creating Hold Capture Jobs, you can place Capture Objects either inside or outside any team’s Capture Point – but bear in mind that any placed inside will automatically be counted towards that team’s score. Try not to put Respawn Areas over Capture Points – there’s nothing worse than fighting your way into an enemy base, taking out the guards and stealing their Capture Object only to be shot in the back by one of the guards you’d just incapacitated. Give players a short run back to their base after respawning. Note that you can set how many Capture Objects each player is permitted to carry at one time and this will affect the balance and pacing of your Job. In Raid, you can only grab Capture Objects from other teams’ bases. A key difference when creating Raid Capture Jobs is that all Capture Objects must be placed inside Capture Points. As so much of the action will take place around Capture Points, consider their locations carefully. Factor in such things as levels of cover, access points, elevation and terrain. You want it so that ransacking an opponent’s Capture Point is a challenging achievement, but not so difficult that it feels impossible. And, in the interest of balance, make sure that all teams’ Capture Points are equally equipped. When you’re happy with your creation, it’s time to release it to the world. To do so, simply select Publish in the Capture Creator Menu. If the Publish option is greyed out then you still need to finish something off, which will be indicated by a red exclamation mark. Bear in mind that you must complete a valid test before publishing any Job. A test is considered valid if you successfully collect a Capture Object/Vehicle and deliver it as each team. We can’t wait to see what enthralling Capture Jobs you continue to create and we hope these tips give you the insight you need to perfect your current project, or the inspiration to start your next. Feel free to share your created Capture Jobs here in the comments but please do so only once.